Downtown Pittsburgh’s cultural district transformation is nothing short of impressive. While Butcher & The Rye and Grit & Grace are getting a lot of press lately, Proper Brick Oven and Tap Room has recently won me over as my new favorite spot downtown. Located on Seventh Street next to the Benedum Center, it’s impressive to walk in and see the brick oven right in front of you with seating should you want to watch the chef make each and every pizza by hand. On my first visit to Proper, it was a quiet winter weekend afternoon with no large performances so as you would expect, the place was slow. TasteBudA and I sat at the main bar which boasts an impressive selection of rotating craft beers from breweries local and afar. In fact, I learned there is a brewery I’d never heard of from Millvale! Beer flights of four 4 o.z. pours are just $9 and a great way to taste a selection of new brews. I ordered myself a flight to start and for my lunch ordered the Carnivore Pizza. The pizza was fantastic. 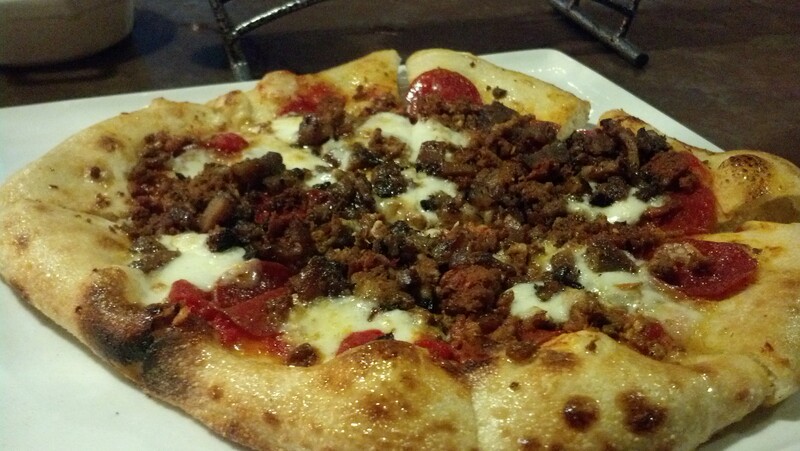 The crust was nice and soft but held the massive amount of meat toppings well. I really enjoyed the mixture of sweet and hot sausage on the pizza. Much to my luck, the pizza went well with the beers I selected on the flight too. Next time, I may have to sit by the oven so I can see the artist – er, chef – at work crafting this pizza. While I didn’t really want to share, I did find it in my heart to offer TasteBudA a slice, though he didn’t oblige. TasteBudA got the Sausage & Pepper Puccia. While usually you envision Italian Sausage to be in link form, this sandwich was served butterflied and coated with melted provolone cheese. Flavor-wise the sandwich was on point. TasteBudA’s only critical comment was that the sandwich may have sat and cooled off too much while my pizza finished cooking. I saved the best part for last. 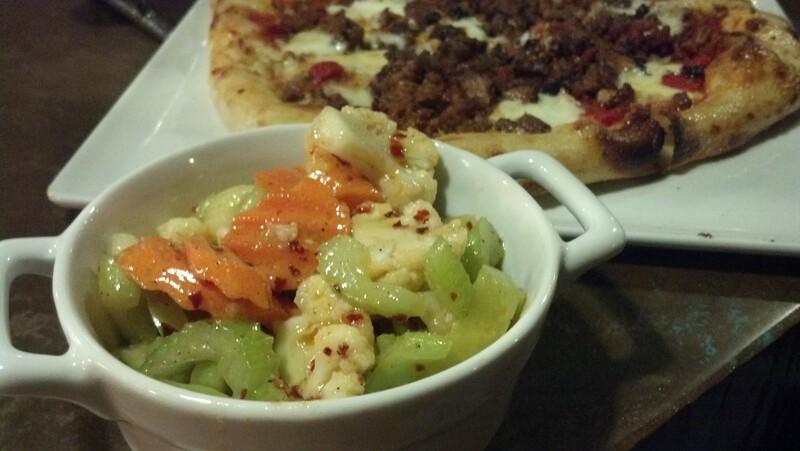 By far, the most exciting part of my meal was the homemade side of giardiniera that I ordered with my pizza. The best way to describe the taste is to envision pickled vegetables drained of the salty, vinegary brine and tossed in an Italian dressing. The spicy pickled house vegetable mix was delicious and will surely keep me coming back for more. In fact, I stopped in on St. Patrick’s Day to have a flight of beers and a side of giardiniera. 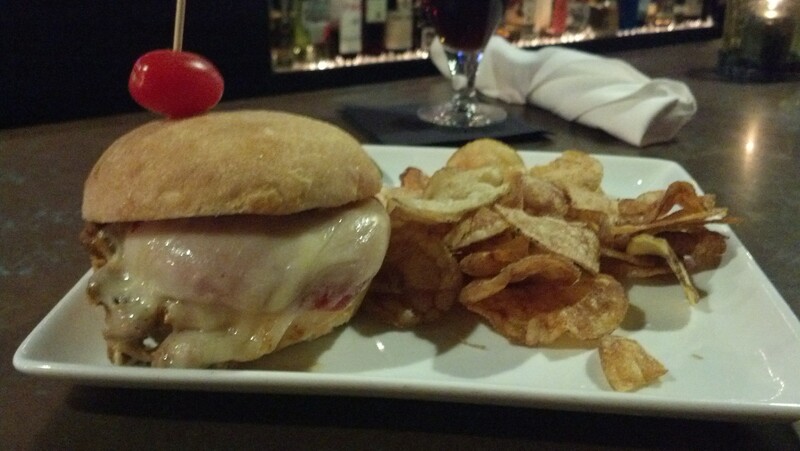 Proper is a top-grade place that can certainly hold its own among other downtown powerhouse restaurants. When you stop and think about it, it fits in nicely to compliment the offerings in the cultural district. Fine-dining pizza isn’t something other cultural district restaurants hang their hat on, so I hope they take the opportunity to stand out for their pizza. Personally, I look forward to going back for the pizza. But if I’m being totally honest, I’d go back just for more giardiniera.